It’s an excellent sea main course, as well as classic of the Romagna tradition. We suggest you pair it with our Smembar Bianco, savory and fresh. 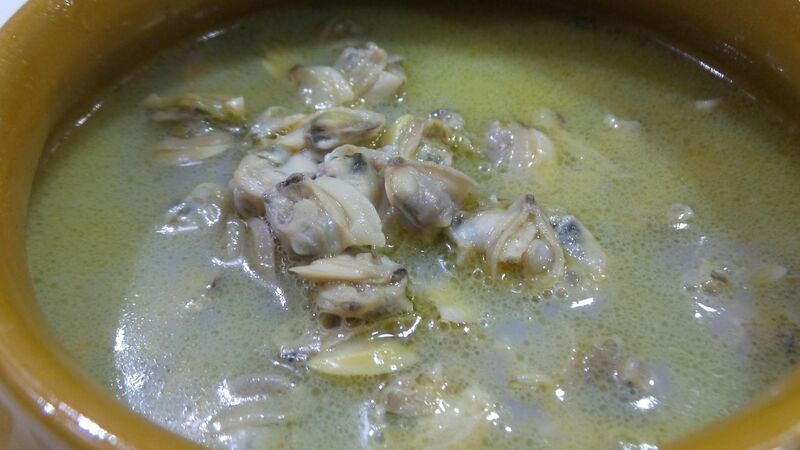 Thoroughly clean the clams and open them in a large pan with oil, a clove of garlic and parsley stalks. Once this is done, wait a few minutes for the water to boil and clear all the fruits from the valves. Now store the clams in their duly filtered opening liquid. Cook the spaghetti in plenty of salted water and drain al dente (but very much!). Meanwhile, sauté the second garlic clove with oil and add the spaghetti and the clam opening liquid. Continue cooking (risottatura) the pasta until all the liquid has absorbed. Add only the fruit of the clams at the end, mix with raw oil and complete (optional) with a little fresh parsley and some lemon zest. 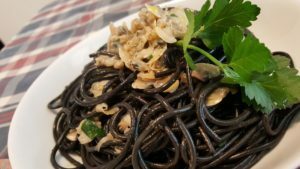 This entry was posted in Recipes and tagged Clams, Maria Galassi, Smembar white, Squid Ink Spaghetti. Bookmark the permalink.